This is a blog post that I have been wanting to write for over a year! The idea has been saved in my "blog posts for rainy days" section of both my brain and my blog planner. I have a few larger posts that I am currently drafting for the coming weeks (including a new travel guide post and some room tours for my new apartment! ), but while those posts are in progress I still wanted to have something up for y'all today. 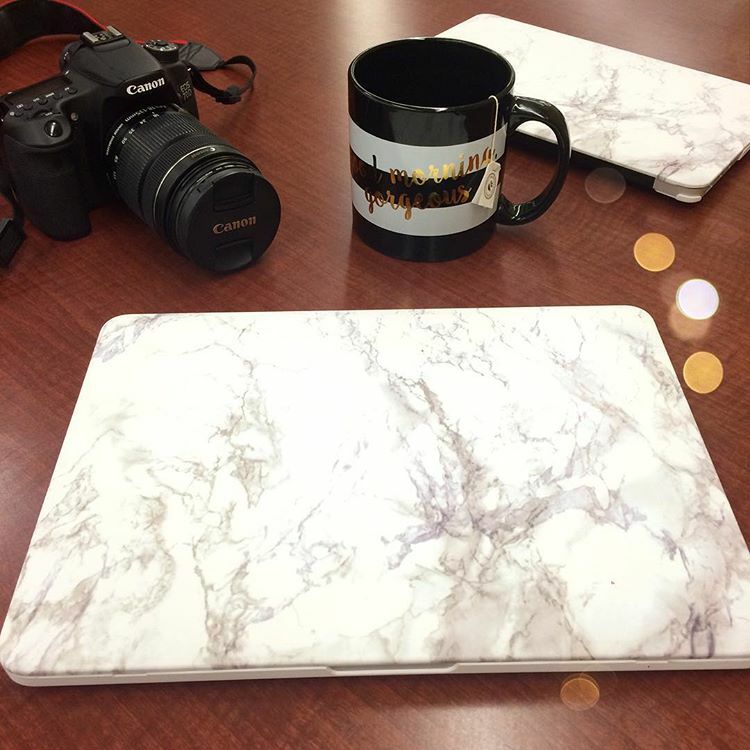 Two of my favorite fashion bloggers, Katey McFarlan and Haley Shepard, both published posts this week which discussed more of the behind-the-scenes aspects of blogging. Both of these women are full-time bloggers, and I was just in awe after reading their posts at how dedicated they are to creating amazing content and running their businesses! Katey's post especially stressed the importance of consistency in blog content. Since the larger posts that I'm working on won't be ready just yet, today seemed like the perfect day to share this post idea that's been floating around for awhile! In Winter 2004, I was 10 years old, and desperately trying to think of the *coolest* email address possible. For a 10 year old girl in the early 2000s, having a basic email address with just my name simply wasn't an option! (Y'all remember the days and know what types of email address I'm talking about!) My passions at this time in my life were figure skating, dancing, and reading, but I couldn't think of anything that was cool enough, sounded right, or wasn't already taken, that could incorporate these things that I liked. I thought that rainbowflash was perfect, and I added the number 94, for my birth year, to the end of it. Hence my very first email address! What differs this email from many of the those in the early 2000s though is that I've never stopped using it. My inbox today has over 35,000 emails. Yes, 35,000! This email address has been with me through everything: middle school, high school and college! It's received some of the best and worst messages of my life. One of the funniest things to think about are the countless emails that I used to send with my middle school crush since this was before I had a Facebook account... technically those emails are all still buried in there somewhere! I've been lucky enough to never experience any sort of major email hack in the 12 years that I've had the account, so I never saw a need to stop using it. When I had my personal writing blog in high school, I developed a separate gmail account for that blog. It started becoming more of a chore to check a second email account though, so when I started this blog a few years ago I knew that I wanted to launch it under my personal email. 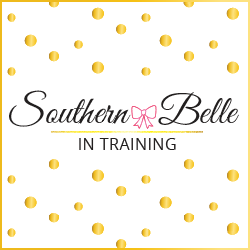 Yes, it's true that my email account for this blog might not end with @southernbelleintraining.com, or have my blog's name in the title. But the story behind the name means a lot to me, and what means even more to me is how long it has been with me for! I started my Twitter account when I was in high school, way before this blog was created, so my Twitter was made under the name @rainbowflash94. When I started other social media accounts in college after my blog was created, it made more sense to use @miss_alk since that is the name that I signed my blog posts with, and it's a lot shorter! So there is your random post from me for the week! :-) Do any of you still use your childhood email addresses? Stay tuned next week for lots of new posts, and this weekend I'll try and put a post together with some 4th of July sale deals! Have a great holiday weekend everyone! This was such a fun post to read about! I have tons of email addresses from my childhood that I now think are hilarious when I look back on them! I always wondered about the story behind your email address! Loved the background story behind it and props to you for keeping the same email address for so long! I think the longest one I've had is my personal email address and that's sine high school! This is going to sound SO. CREEPY. But when I was little, like 11, I loooooved babysitting and babies (still do). I wanted to have something in my email that talked about how much I was around babies. Or something that just had to do with babies in general. For some weird reason I thought it was completely normal to have my email be babyfeet00. Now looking back I realize how freaking creepy that address is!! Now my name for everything is swraex, which is my first initial, last initial, middle name, and then just the random "x." I loved reading this post today!! This is so funny! My first email address was "mad4monkeys" because I literally had over 50 stuffed monkeys in my room! I use an email address with my name now, because I'm boring and old hahaha. Such a cute story! I was that girl in high school with her name as her email so I have one with my maiden name and one with my married name. I wish I was creative enough to have had something differently! This is so cute! All of my personal social media accounts are still connected to my gabisfab96@aim.com, but props to you for sticking with your email! Haha I totally agree! A basic name wasn't gonna cut it so I went with PiNkndGrEeNLuVeR27. omg what a fun story!!! I think I have like 15 email addresses.... I kept making new ones in high school because I would stop liking them lol or forget the password! Such a fun story. Behind the scenes posts are always so fun! So cool!! I've always wondered about this haha :) What a fun and unique story and the fact that your email account keeps all your memories from middle school and beyond. So cool! Also PS I just got the same laptop case :) Love that photo! I had the same situation with an email address but mine was too embarrassing to keep!! I have always wondered where your email address came from - what a unique story!! I would have loved to see that kind of event in person! Love reading this! I got my email in the third grade when it was the coolest thing in the world but my address was pretty basic because my mom told me to haha! But some of my friends have some pretty funny ones, there's some Hannah Montana inspired ones haha! Such a great story! I don't have access or remember my old email addresses and that's probably a good thing; I have some memories I don't want to think about lol.